Mayor Doyle H. Webster and his wife, LaVonne, have been Springdale residents for nearly 50 years, moving into Springdale in 1964. Mayor Webster first became involved with the City of Springdale in 1970 when he was appointed as the Parks and Recreation Director by then Mayor Ray Norrish. A year later, Doyle was elected to the position of Clerk-Treasurer, which was later changed to Clerk of Council/Finance Director. No matter the title of the position, he found himself re-elected for five (5) additional terms and ultimately served the City in that capacity for a total of twenty-four (24) years. In 1995, Doyle was elected as Springdale’s seventh Mayor since the City’s incorporation in 1959. 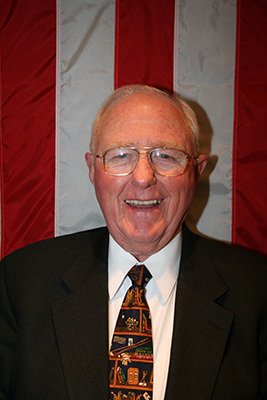 At the conclusion of his current term, Doyle will have served the City of Springdale as an elected official for forty-four (44) years. In this day and age, that is one significant accomplishment. Public service contributions aside, Doyle has an almost equally lengthy career in the banking industry. He served as a Vice President at PNC Bank, formerly Central Trust Bank, for over thirty eight (38) years, retiring in 1995. Doyle later accepted a position with Northside Bank and Trust, working an additional five (5) years as a Vice President and advisor to the bank’s owner before retiring for a second time in 2003. Doyle and LaVonne raised their daughter, Julie (Matheny), in Springdale and like her parents, Julie is very active in serving the Springdale community at large. Today, the Mayor spends his spare time helping provide effective oversight of City operations, enjoying his family and friends and maintaining the upkeep of several rental properties. He and his family are also avid Cincinnati Reds rooters and frequently travel to other cities to cheer on the home team. The Clerk of Council/Finance Director is designated as the Chief Fiscal Officer of the City of Springdale and is responsible for executing the duties of the Treasurer, Clerk of Council, and Auditor. The Clerk’s office is responsible for: paying City bills, collecting all municipal taxes and revenues, investing any and all City funds, and properly maintaining all of Council’s legislation and records. 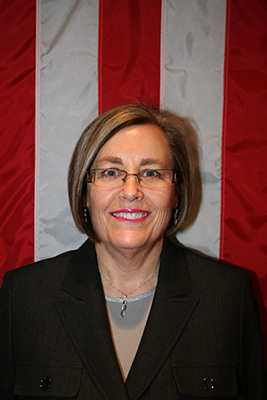 Mrs. Kathy McNear, currently serving her second term, was elected to the position of Clerk of Council/Finance Director in 2007. A long-time Springdale resident, she has lived in the community for approximately 41 years. With the exception of three (3) years in the early seventies, Mrs. McNear has called Springdale home since 1969. Prior to becoming the Clerk of Council/Finance Director, Mrs. McNear served twelve years as a City of Springdale Council Member-at-Large. For eight of those twelve years, Mrs. McNear was chosen as President of Council by her fellow City Council members. During Mrs. McNear’s tenure as a Council Member, she served on a number of Council Committees such as Board of Zoning Appeals, Public Relations, Public Works, Public Utilities, and Rules and Laws. In her role as Clerk of Council/Finance Director, Mrs. McNear continues to contribute to the organization outside of her primary duties. Recently, Mrs. McNear was appointed as a member of the new Veteran’s Committee, created to identify ways of recognizing Springdale residents who served during conflicts of war. In addition, Mrs. McNear has also been appointed to serve on Council’s 2013 Redistricting Committee. Prior to becoming an elected official, Mrs. McNear contributed as a member of the Springdale Charter Revision Committee. Mrs. McNear is a proud graduate of Princeton High’s Class of 1973. She later attended the University of Cincinnati where she majored in business. She is currently employed as a Business Consultant with WellPoint, one of the largest health benefits companies in the United States. WellPoint is an independent licensee of the BlueCross BlueShield Association. Mrs. McNear and her high school sweetheart, Jim, married in 1975 and have been together for nearly 40 years. They have raised two sons (Jake and Austin) in the Princeton City School system. Mrs. McNear is known to lend much of her time and talent to assist the Princeton City Schools Scholarship Committee and the Class of 1973 Reunion Committee. She serves as Treasurer of the Greater Cincinnati Chapter of the International Customer Service Association, an organization dedicated to the education, development, promotion, and recognition of service professionals.